Oil prices have been mired in a 2 1/2-year slump. Crude last reached $100 per barrel in 2014. After hitting a rock bottom of $27 in early 2016, global oil prices have recovered but cannot seem to break out of the range of $50 per barrel. This stagnation has led some energy companies to tighten their belts, hoping to extend their business until the price recovers. What are the potential catalysts for an oil recovery? And what lies ahead for the industry? The answer depends on complex variables such as oil production and demand, geopolitical upheaval, and how companies balance cost-cutting versus long-term investments. 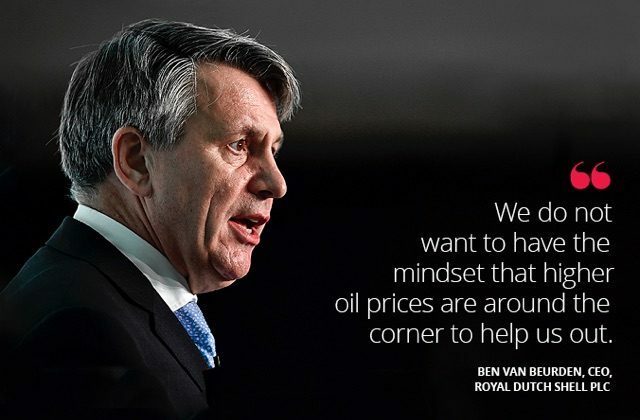 While the Shell CEO mentioned this as a mindset to embrace—not as a fact that oil prices would never rise—his words nevertheless spooked the entire industry. What van Beurden stated was something many in the industry suspected, but were afraid to say. The prevailing assumption was that peak oil demand would arrive at some point in the future—the International Energy Agency believes around 2040—and after that, demand and prices would gradually fall, coinciding with the advent of alternative or renewable energy sources. We do not want to have the mindset that higher oil prices are around the corner to help us out. But that crossroads could be right around the corner. While global oil demand remains high, producers are grappling with the perfect storm of a global oil-supply glut and the beginnings of a secular shift away from petroleum. The threats facing energy companies in Europe are greater. Countries such as the United Kingdom, France, and Norway have announced plans to phase out cars with internal-combustion engines within a few decades, in an effort to reduce emissions. The Organization of Petroleum Exporting Countries (OPEC) has traditionally held great sway over oil prices by controlling the majority of the world’s oil supply. But in recent years, increased production from those outside of the cartel (United States, Canada, and Russia) and less cohesiveness among its members and allies have dented its effectiveness in setting global oil prices. To boil it down, oil price is dictated by supply and demand. Energy demand is outside of OPEC’s control, so to increase oil price, the cartel must focus on capping supply. While supply cuts would theoretically raise oil prices, they also would decrease revenues and market share for OPEC, so some member countries are reluctant to comply. OPEC’s difficulties were put on full display recently, when Brent crude oil prices plunged on Aug. 1 after a Reuters survey showed OPEC oil production in July had climbed to its highest levels since December 2016. The result was in opposition to the OPEC supply cuts Saudi Arabia promised earlier; The Wall Street Journal suggested Libya and certain other OPEC members did not comply with the agreed cuts. The OPEC meetings that concluded Aug. 8 sought to address some of the compliance issues with member countries. One option is to set up some type of a stabilization or relief fund for some OPEC members, as suggested by Mohamed El-Erian, chief economic adviser to Allianz, former president of the Harvard University endowment fund, and former chair of the President’s Global Development Council under Barack Obama, in a column for Bloomberg. Venezuela is a new variable in this equation. The OPEC member state is currently in political turmoil under socialist President Nicolás Maduro. It is the third-biggest crude supplier to the United States, and many U.S. oil refiners are calibrated to work with such heavy crude, making it difficult to find alternative sourcing. It remains to be seen how a potential U.S. oil embargo against the country would impact oil prices, if at all. BP capital expenditures from 2012 to present. OPEC’s main difficulty in controlling global supply—and a big reason why some member countries don’t comply—is the availability of American shale. The U.S. shale boom began when oil was consistently above $100 per barrel a decade ago. Producing oil from hydraulic fracturing (fracking) is generally unprofitable in today’s low oil price environments. But a recent decline in fracking costs in North America has revitalized the U.S. oil industry. “So far, U.S. drillers have consistently undercut OPEC’s efforts to reduce the global supply glut, boosting production on stronger capital discipline and improved cost structure,” according to a recent research note by Julien Mathonnière at ICIS, a leading petrochemical consultancy. Big energy firms have also cut costs to stay profitable. Most global oil majors posted substantial profits during the second quarter of 2017. For example, ExxonMobil Corp. generated $3.4 billion of profits during the quarter, while Chevron Corp. earned $1.5 billion in the same period, demonstrating their ability to adapt to lower oil prices. What’s their secret? Big oil firms have largely eschewed the mega upstream projects with billions of dollars in initial cash outlay that were prevalent a decade ago, when oil prices were above $100 per barrel. Expensive capital expenditures, such as the Gorgon LNG project in Australia, which cost Chevron $50 billion, have largely been curbed. 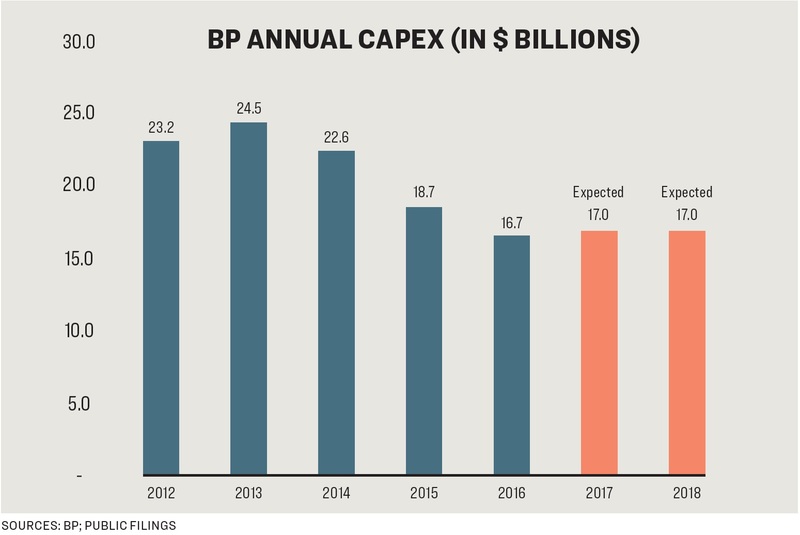 For example, BP’s annual capital expenditures decreased from $23.3 billion in 2012 to $16.7 billion in 2016. CEO Bob Dudley told Bloomberg earlier this year that capital expenditures would remain below $17 billion for 2017 and 2018. This trend has allowed oil companies to keep more of their revenues to pay cash dividends. And cash flow from operations has become an important metric to assess big oil companies during the recent oil downturn. High cash flow demonstrates the company’s ability to maintain dividends without taking on additional debt, and hefty regular dividends are a main reason institutional investors continue to pour money into energy stocks. In truth, the massive capital projects that oil companies undertook a decade ago are keeping them afloat today. Many projects took years to complete and began production recently, so companies are just now reaping the rewards of their investment. And in some ways, the over-investment in upstream oil projects a decade ago—when oil prices were sky high—touched off today’s supply glut and price stagnation. The massive capital projects oil companies undertook a decade ago are keeping them afloat today. 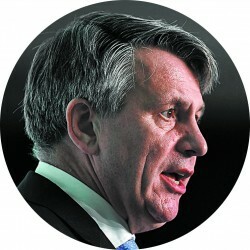 Shell’s van Beurden wasn’t trying to predict the oil price when he said “lower forever.” He was preparing the industry to buckle down and live within its means, which equates to lower capital spending on future projects. As a result, significant amounts of money are kept away from long-term project investments that will secure the supply of oil over the next 20 years. As existing projects run off over the next few years, lower investments will mean less supply for global oil companies to draw from. Cleverly, van Beurden’s declaration of doom today actually lays the foundation for higher oil prices tomorrow.